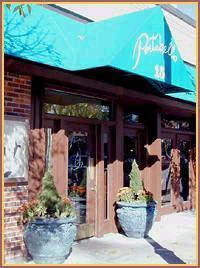 PORTABELLA in Clayton was named "Best New Restaurant" in two separate St. Louis readers' polls, has won reviews from regional media critics, and has been featured on the Food Network. Menu and more . 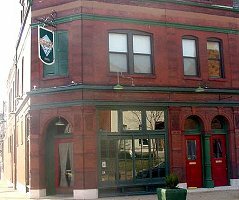 . .
KING LOUIEs is a jewel in midtown St. Louis. A rare combination of wonderfully prepared food, great ambience and service dedicated to personal satisfaction. You will want to dine here again and again. Map and more . . .
SIDNEY STREET CAFE in Soulard. Leave the vegans at home. You'll be eatin' meat at this popular bistro -- they don't even bother putting salad on the menu. In fact, they don't really have menus; your efficient server recites the 30-odd detailed selections from memory while you gape open-mouthed. Anything you order will be more than satisfactory, and a great deal of it will be surpassing. Avocado cream gives "pueblo" ravioli a jolt, and raspberries spruce up pork chops. Look for a casual, convivial clientele; a mood of relaxed elegance; and delicious beignet-like bread pods.